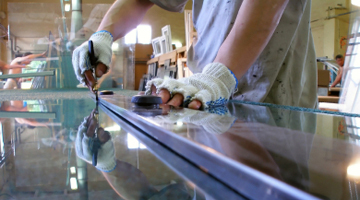 Glass applications include the need for combustion and FD fans for the glass furnaces and for cooling and tempering fans for sheet glass. Tempering fans particularly may require the impeller to be constructed from high strength alloys to cope with the frequent acceleration and deceleration of the fan. A high level of particulates in the environment may necessitate high volume fans with self-cleaning impeller designs.